Tickets are required for all tours. In 2014 and 2018, respectively, Historic Columbia reopened the Woodrow Wilson Family Home and the Hampton-Preston Mansion following rehabilitation of the physical structures and the completion of full interpretive shifts. Today visitors experience the country’s only museum of Reconstruction at the Wilson Site and are immersed in equal treatment of the stories of the enslaved individuals and the white planter class elite who lived and worked at Hampton-Preston. This tour will offer attendees a view behind-the-scenes of the strategic shift at Columbia’s premiere historic sites from the 1830s through 1875. Visit two cotton mills and adjacent villages designed by W. B. Smith Whaley, one of the most prolific mill developers in South Carolina. This driving tour of Granby Mill and Village (1896-1897) and the Olympia Mill and Village (1899-1900) will focus on the industrial, social, and architectural history of these communities during the first half of the twentieth century. Stops will be arranged at each of the mill buildings and prominent community centers such as the Pacific Community Association Building (now 701 Whaley) and several churches also designed by Whaley as well as the still-active Vulcan granite quarry. Columbia comes logically to its current position at the forefront of the national debate over Confederate memorials. The city has a good claim to be both the place of birth and the place of death for the Confederacy. The antebellum South Carolina College, now the University of South Carolina, was the academic hothouse of proslavery secessionist ideology. The political culture centered on the state capital provided the institutional framework through which the disunion campaign developed. The culminating secession convention met at First Baptist Church on December 17, 1860. The state house has been crucial to the relationship between Columbia and the Confederacy since the decision to build a new capitol amid the acceleration of the secession movement in the 1850s. Attendees will explore the site with professor Thomas Brown, author of Civil War Canon: Sites of Confederate Memory in South Carolina. 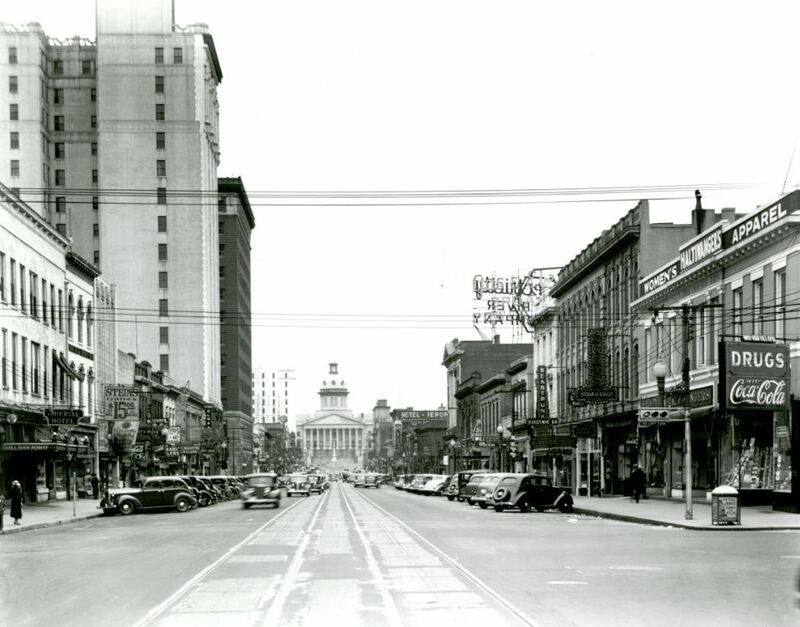 Columbia’s Main Street was the stage for several defining moments during the Civil Rights Movement of 1963. A young domestic worker was ejected from a city bus for trying to exit off the front instead of the back at the corner of Main and Washington; sit-ins occurred regularly at lunch counters like Kress near the corner of Main and Hampton; and marches and protests filled the South Carolina State House grounds at the state’s seat of government, which anchors Main Street. This Columbia 1963 Main Street Walking Tour takes visitors on a journey through some of Columbia’s noteworthy and moving civil rights stories. Before the Civil War, enslaved workers farming the “Rich land” between the Congaree and Wateree rivers in lower Richland County propelled several white planter families to regional and national power. During Reconstruction, the South Carolina Land Commission (SCLC) subdivided some of these plantation lands into small parcels, selling them as working farms to landless African Americans who would come to enjoy a degree of economic freedom. Today, tangible links to this agricultural, economic and social journey remain in Kensington Plantation, the Harriet Barber House, and Wavering Place – historic sites that illustrate the diversified past experiences in the region and the diversity of contemporary owners and uses to which each site is placed. A roundtable discussion of the challenges and opportunities of interpreting spaces that represent the pinnacle of white, antebellum power will take place at Wavering, with box lunches provided.